No matter what time of year you get married, you should consider taking some of your wedding photos outside. Even if you have a beautiful venue — and there are many gorgeous places to hold a New York wedding! — heading outside for a photo session gives you the chance to embrace beautiful scenery, stunning architecture, and the lovely glow of natural light for your wedding photos. Taking wedding photos outside is an almost-guaranteed way to get images you love, especially if you remember these five pieces of advice. Want to make sure you get the best possible photos from your wedding day? Ask your New York wedding photographers! These pros are experts at taking outdoor photos, from choosing the best time of day for shooting outside to making sure you love the poses and style of your final portraits. And if you want to get a jump start on making sure you’re ready to pose for your outdoor wedding photos, we’ve rounded up our tips for how to take good wedding photos outside. 1. Choose your time of day carefully. When you take your outdoor wedding photos can really impact the quality for one simple reason: you’re working with natural light. When the bright midday sun is directly overhead, it’s hard to end up with flattering photos. To avoid ending up with sharp shadows or washed out faces, arrange your wedding day schedule so you can take outdoor photos in the early morning or late afternoon. 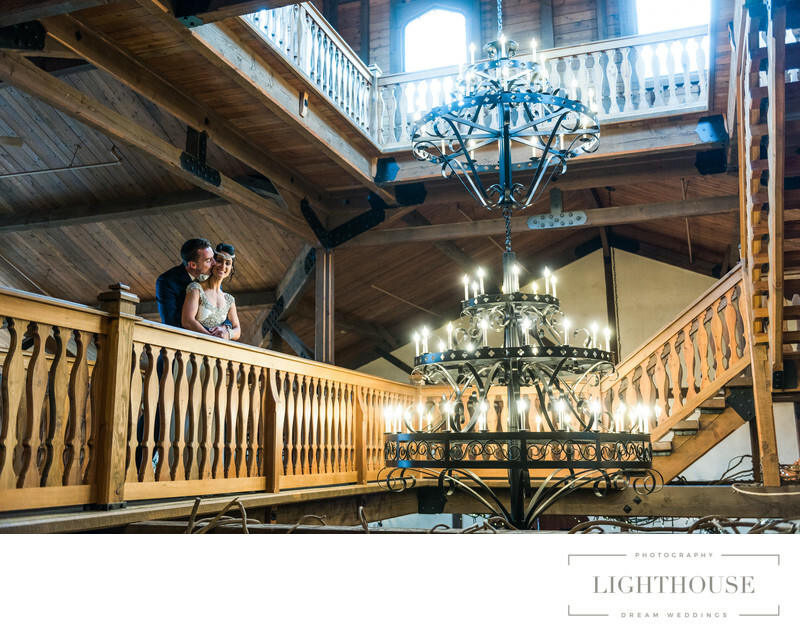 The golded light at this time of day is more diffused, which means it’s more flattering for you and your wedding party. Not to mention, you don’t have to worry about squinting into the bright sun! 2. Be strategic about where you go. When you take photos outdoors, especially in a city like New York, you run the risk of having lots of strangers guest starring in your wedding portraits. Sure, your photographer can digitally remove a few people in the background, but you’ll get better photos without that kind of editing. To avoid that as much as possible, try to choose outdoor photo locations where you won’t run into as many crowds. 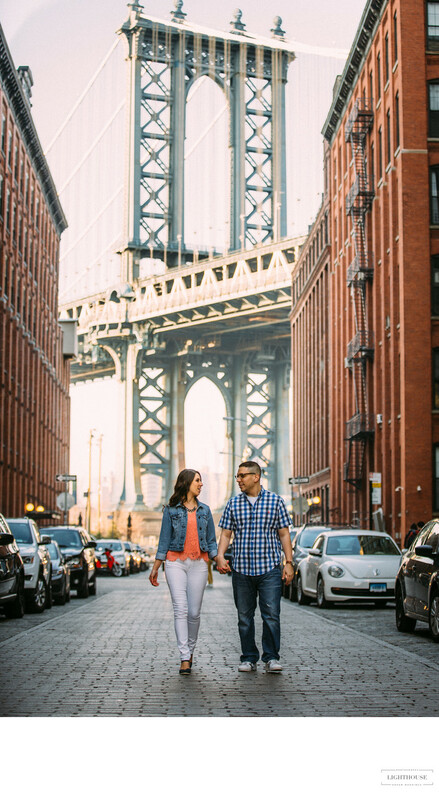 We’ve rounded up some of favorite spots that New York wedding photographers love to visit. Being outside, in public, when you take your photos can make you feel a bit put on the spot, especially if there are strangers stopping to look. If you’re a little shy, that can make it tempting to look away or down. On the other hand, when you’re interacting with your sweetheart naturally in an outdoor setting, you might even forget that the camera is there and end up turning away. Either case can make it difficult for your photographer to capture wedding portraits with your face in them. Luckily, you don’t have to look directly at the camera to end up with beautiful wedding photos. You just need to remember to keep your head up and your face visible. 4. Be willing to pose or play. Taking your wedding photos outside gives you a lot more space to move and explore than an indoor setting. Take advantage of that by being willing to play, move around, and try new things during your portraits. A combination of poses and candid shots are a great way to get the most of outdoor wedding photography. Unsure what to do when the camera is pointed your way? Check out our tips for posing for wedding photos. 5. Relax and have fun. No matter where you’re taking your wedding photos, remember: it’s your wedding day! It’s a time to relax, have fun, and feel the joy of the new chapter of your life that’s beginning. Try out a silly pose that your wedding photographer suggests. Go somewhere that’s special to you or that you’ve never been before. Focus on the friends and family who are standing next to you. Stare deeply into the eyes of your new spouse. As long as you’re enjoying yourself, at the end of the day, you’re going to end up with beautiful wedding photos. Looking for a New York wedding photographer? Trying to find a New York wedding photographer, but not sure how to pick the right one for you? Check out our advice on choosing a local wedding photographer. Or feel free to reach out with any questions you have!